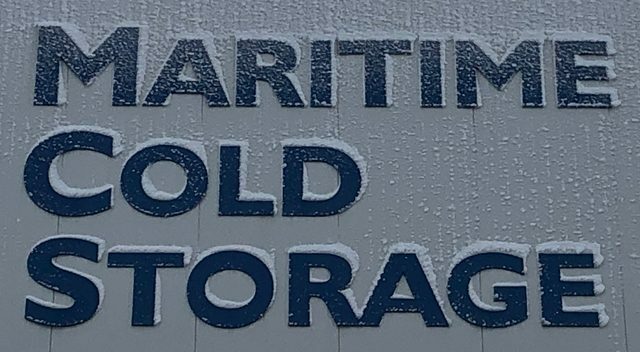 Since 2008, Maritime Cold Storage Limited has provided Moncton and all of Southeastern New Brunswick with an ideally positioned facility for the transportation of seafood and agricultural products throughout the Maritimes. We hold a Canadian Food Inspection Agency (CFIA) Safe Food For Canadians Act Licence and are proud members of the International Association of Refrigerated Warehouses (IARW) and World Food Logistics Organization (WFLO). Approximately 30 minutes from Moncton, the Prince Edward Island border and the Nova Scotia border – we are strategically located to serve all three provinces. Our cold temperature environments ensure safe storage of your perishable goods. Keep your cargo in a highly controlled and monitored facility for as long as you need. With over 50,000 square feet of cold space, we are uniquely equipped to store your products for any length of time. We primarily cater to frozen storage needs at a minimum one-month duration. With over 50,000 square feet of highly regulated and monitored cold space – we have facilities you need to store your product and be assured of its continued integrity, while under our care. Secure, safe storage is of utmost importance to us. Our building is monitored and access-restricted, around the clock. In-house inventory management with a barcode tracking system. The online access portal allows our clients to check the status of their cargo, while it is housed in our facility. Our facilities are designed to maintain the cold environment that we offer, regardless of external conditions. We have implemented a backup generator system, to provide continuous power to the building, in the event of electrical grid disruptions. CFIA Safe Food For Canadians Act Licence, IARW and WFLO members, FDA Food Bioterrorism registrant and HACCP program implementation – in accordance with FSEP Guidelines. External Client-Portal link allows you to verify that status of your cargo in our facility. Enjoy peace of mind, knowing that the products you store with us are secure – in a highly controlled environment.